Chrysler is recalling an estimated 780,477 minivans after reports of overheating, including some fires, in power window vent switches. The company said there were no reports of accidents or injuries related to the issue, but 36 incidents of overheating and an undisclosed number of fires. "Some incidents involved fire, many did not," Chrysler spokesman Eric Mayne said. "In each case, damage was confined to areas of the driver's door," where the switch is located. The company said affected customers would be contacted and advised when they can schedule repairs. In the interim, customers may visit dealers after May 14 to have the vent switches disconnected, eliminating the risk of overheating. The company, a unit of Fiat Chrysler, said it discovered the problem due to warranty claims and found exposure to moisture from rain, snow, car washes or beverage spills could cause a short circuit. 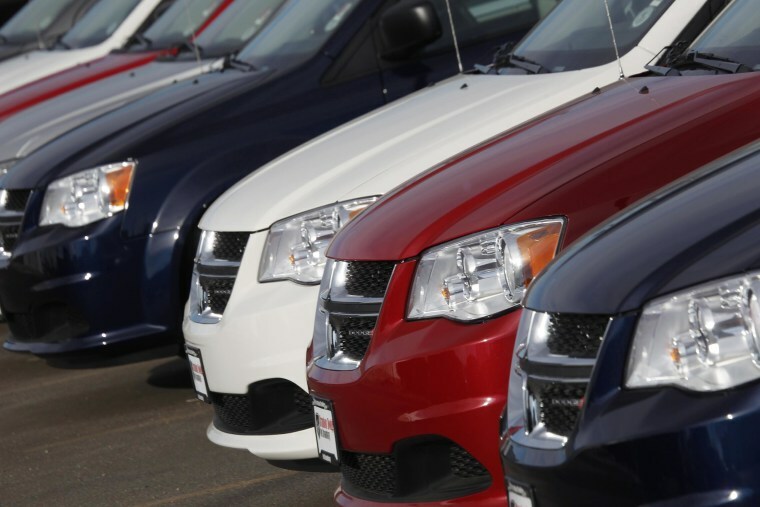 Affected are certain Dodge Grand Caravan and Chrysler Town & Country minivans from model years 2010 through 2014. An estimated 644,850 were sold in the United States, 106,980 in Canada, 8,009 in Mexico and 20,638 elsewhere. The company, which distributes Fiat vehicles in the United States, also said it is recalling 4,141 Fiat 500e electric cars to replace the power inverter module. The repair will prevent a slow coolant leak onto electrical components that can cause a short circuit and power loss while driving. Chrysler said it is aware of five incidents of power loss, but no related accidents or injuries. All the affected vehicles were sold in the United States and are from model years 2013 and 2014. Customers will be alerted when they can schedule the repair.